Ideal for every day use. 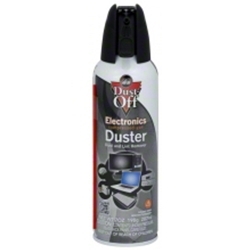 Falcon disposable Dust-Off is extra large, more economical to use, and delivers its dust-removing power at less cost per gram than competitive products. 100% ozone safe. Leaves no residue.